Construction projects have many components that require monitoring and reporting, which is why they are often delayed and run over budget. By deploying drone solutions to help automate site data gathering and processing, construction workflows can be kept on time and on track. 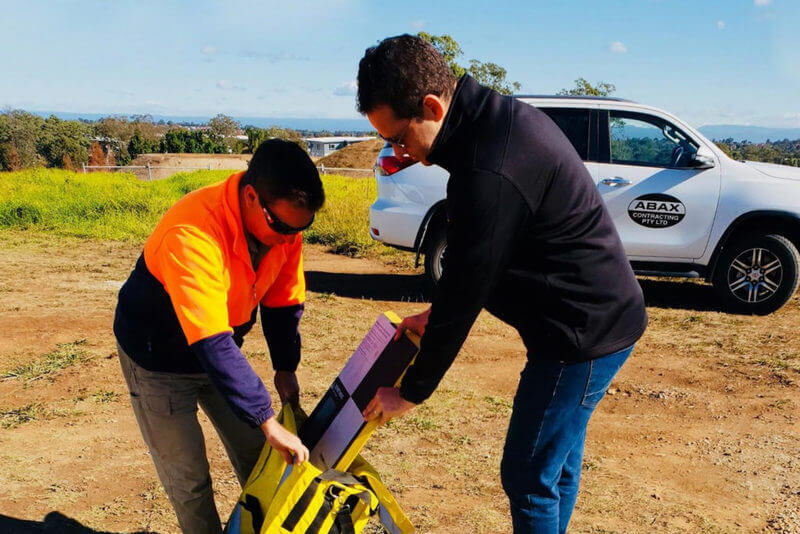 Abax Contracting isthe first company in Australia to use the DJI drone platform with the Trimble Stratus software to optimize construction workflows. Trimble Stratus takes Propeller’s cloud-based visualization platform and AeroPoints (an automated GCP system), and integrates these with Trimble’s Connected Site solutions. “Contractually, civil contractors are required to provide progress surveys on their projects and DJI drone solution with Trimble Stratus will produce these for Abax,” said Project Engineer Jack Widdowson. The streamlined data collection and sharing platform also helps Abax provide visual monthly progress updates to clients much more easily than legacy methods. Abax’s first flyover was set at 35m (115ft) altitude using a DJI Mavic Pro. The five-acre site at Kellyville was subdivided into 45 lots for housing to be constructed by Clarendon Homes. 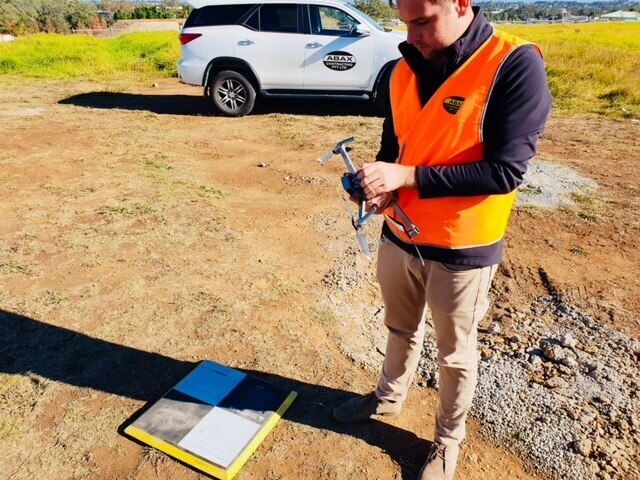 In the operation at Kellyville site, ten AeroPoints are strategically placed around the site while the DJI Mavic Pro flies on a preset flight path, collecting and uploading data and drone images to Trimble Stratus. The dataset is processed and returned within hours— site maps and models are analyzed quickly and shared easily. “This saves us a lot of time on site surveying. It will be used in confirming natural surface models and stockpiles, and allows for fast and accurate progress claims.” Said Widdowson. Legacy site mapping solutions can take all night to process drone images before any actionable insights are generated. The Trimble Stratus software, on the other hand, takes only a few hours to process the data collected by drones once the images are uploaded. While the automated data-processing is under way, teams can work on other projects, saving time and money for the company. The DJI + Trimble Stratus solution not only enhances efficiency, but has also proven to increase safety. Abax chose to work with DJI drones because they are reliable tools as well as open platforms that enable customized solutions to be built for specific data processing and management needs. The Stratus software seamlessly integrates with all of the Trimble technology that Abax currently has in place, such as their Trimble Business Centre—HCE, making incorporating drones easy. The data collected by drones can then be processed in a series of Trimble software applications, allowing information to beused in real-time – making efficient, integrated data management a reality. 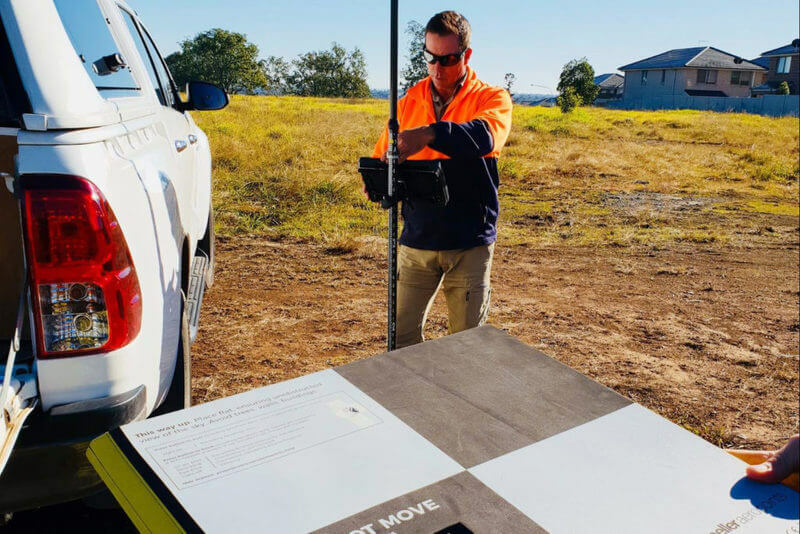 Abax, as an early adopter of the DJI + Trimble Stratus solution in Australia, has seen its business transformed. The construction industry is embracing drone technology for more accurate and efficient surveying, safer inspections, and more visible site mapping. DJI creates drone platforms as tools that are trusted by professionals from a variety of backgrounds, and has been at the forefront of the movement that is revolutionizing the way industries operate.